This estate combines the first names of Florence and her husband, Denis Dubourdieu, the pope of Bordeaux oenologists. Their vineyard is on the outskirts of Sauternes, where hand-harvesting and low yields accentuate the limestone minerality. A far-cry from heavily-extracted, oak-laden, exuberant fruit bombs, these wines are classic and elegant. Clos Floridene Graves Blanc, 2014….. Stunning mineral notes from the chalky soil – an almost crystalline purity and invisible oak influence – fine, rich citrus flavors, and a vivacious, truly luxurious finish. 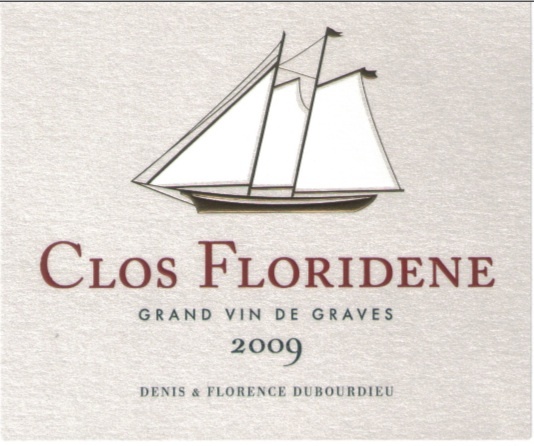 Clos Floridene Graves Rouge, 2012…..Densely-planted on limestone bedrock, and topped by a thin layer of clay/gravel, rich in iron oxide, known as “Barsac red sands.” Its deep woodsy bouquet, supple and smooth texture, pepper and spice flavors all meld in thirst-quenching, blackberry fruit-filled tannins. Small quantities are produced of this increasingly sought after red…Cabernet Sauvignon 64%, Merlot 36%.